Acetyl L-Carnitine by MRM is very high quality. 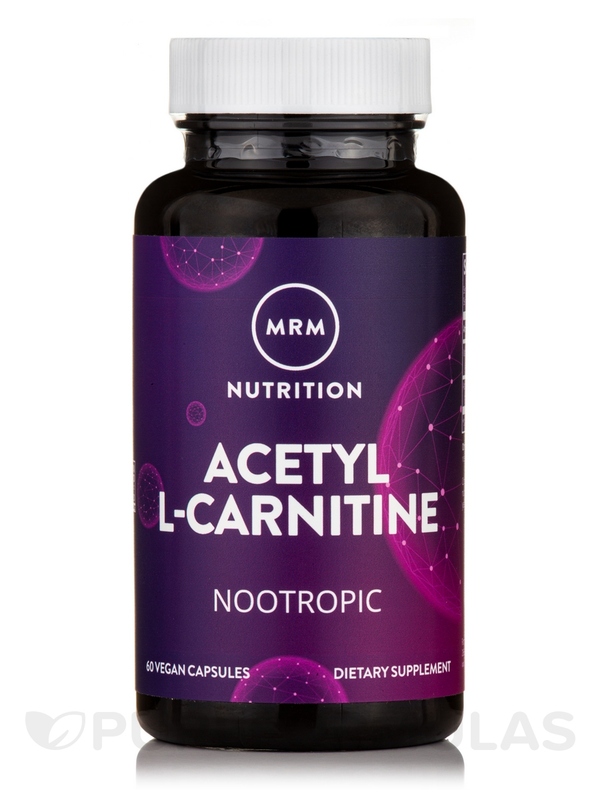 Acetyl L-Carnitine by MRM is a great product at a great price. Acetyl L Carnitine by MRM has no fillers. I use it to keep my memory and brain sharp! Acetyl L-Carnitine (ALC) is the acetyl ester of the amino acid L-carnitine‚ which transports fats into the mitochondria to be converted into an energy source. It is a nutrient and naturally occurring metabolite in the human body that is also involved in lipid‚ carbohydrate‚ and protein metabolism. The heart‚ brain‚ the muscles‚ and the testicles contain considerable concentrations of ALC but its levels are dramatically reduced as we age. The bottom line is that ALC can improve energy and endurance in physical performance. ALC represents a substance‚ which is a high energy storage compound. Research has shown that ALC can increase the amount of ATP produced in the body for energy and is one of the premiere anti-aging compounds‚ especially in relation to brain and nervous system deterioration. ALC is a highly bioavailable form of L-Carnitine able to efficiently cross the blood-brain barrier. Once in the brain it acts as a neuroprotective and antioxidant agent as well as supporting energy metabolism. 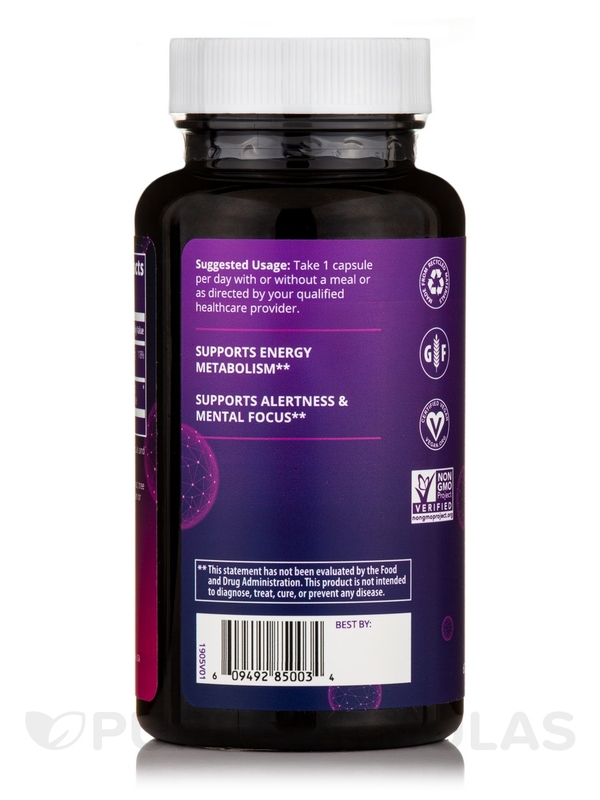 MRM added Vitamin B6 to support energy metabolism for optimal mental alertness and focus. 1) Increases ATP in the Body for Energy. 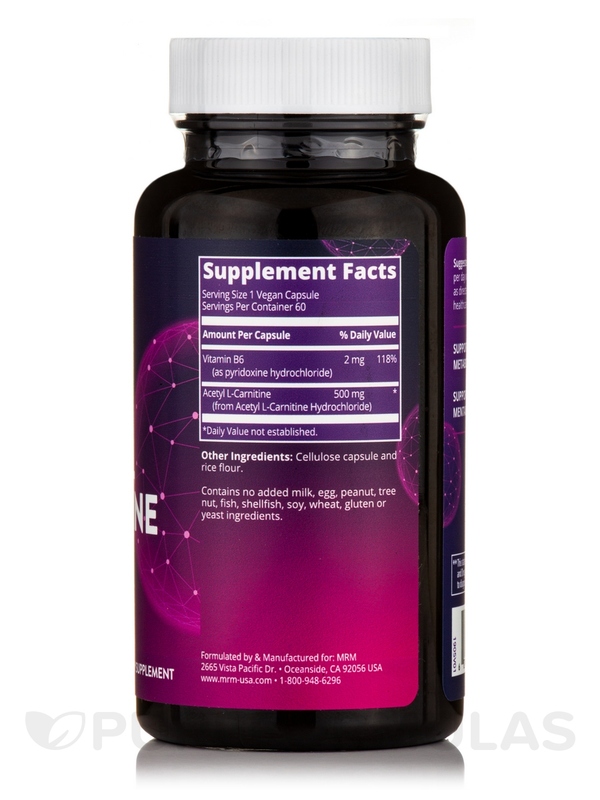 2) Supports Memory‚ Alertness & Mental Focus. 3)Improves Energy & Endurance in Physical Performance. Contains no dairy‚ egg‚ peanut‚ tree nut‚ fish‚ shellfish‚ soy‚ wheat‚ gluten or yeast. Take 1 capsule up to 3 times a day or as directed by your qualified healthcare provider. I started using Acetyl L-Carnitine by MRM to help with some circulatory problems so far so good! It helps burn belly fat. I really feel like Acetyl L Carnitine by MRM it targets my belly fat. I feel and look slimmer when I take this product. I like that it helps me to burn fat. Acetyl L-Carnitine by MRM works very well and for the price I will buy again. I take this product religiously. I do so to support memory cognitive function energy levels and brain circulation. If theres one thing I do not want to have when I get older is any kind of cognitive decline or memory issues. Heck I want to improve on these things as I grow older. I do believe that Acetyl-Carnitine is helping me to acheive these goals. I can take a little while but by taking 3-4 of these a day Ive seen improvement in my overall cognitive function.